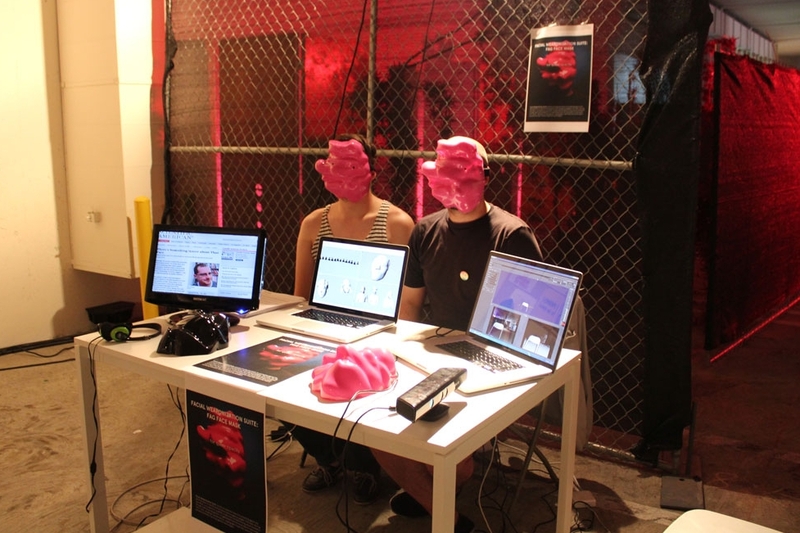 "The Facial Weaponization Suite develops forms of collective and artistic protest against biometric facial recognition – and the inequalities these technologies propagate – by making masks in community-based workshops that are used for public intervention. One mask, the Fag Face Mask, is a response to scientific studies that attempt to build models based on tests where people « accurately » define sexual orientation after looking at a face for 0.5 milliseconds. 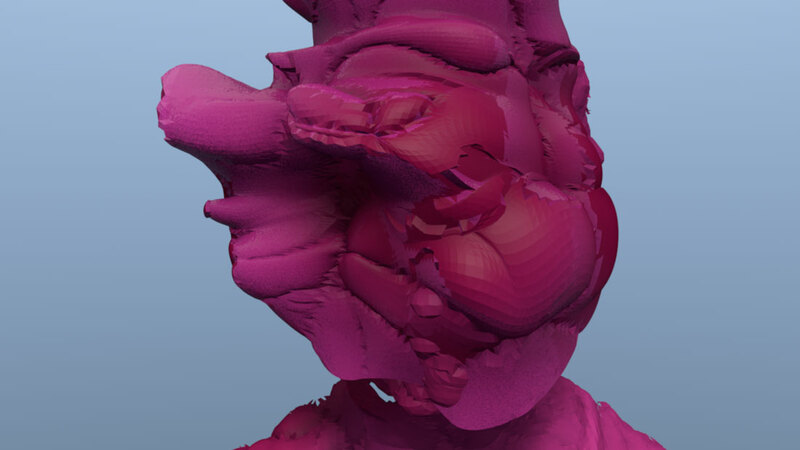 This mask is generated from the biometric facial data of many queer men’s faces, resulting in a mutated, alien facial mask that cannot be read or parsed by biometric facial recognition technologies."